Welcome to the ibis Madrid Alcobendas hotel. Just 9.3 miles (15 km) from the airport, IFEMA and the center of Madrid, our hotel is perfect for a pleasant stay for business or leisure. The ibis hotel in Alcobendas is a 10-minute walk from the La Granja metro stop on line 10. From here, guests can travel directly to the Santiago Bernabéu soccer stadium or the emblematic Plaza de España. By car, we are 10 minutes from IFEMA and 15 minutes from Barajas Airport. 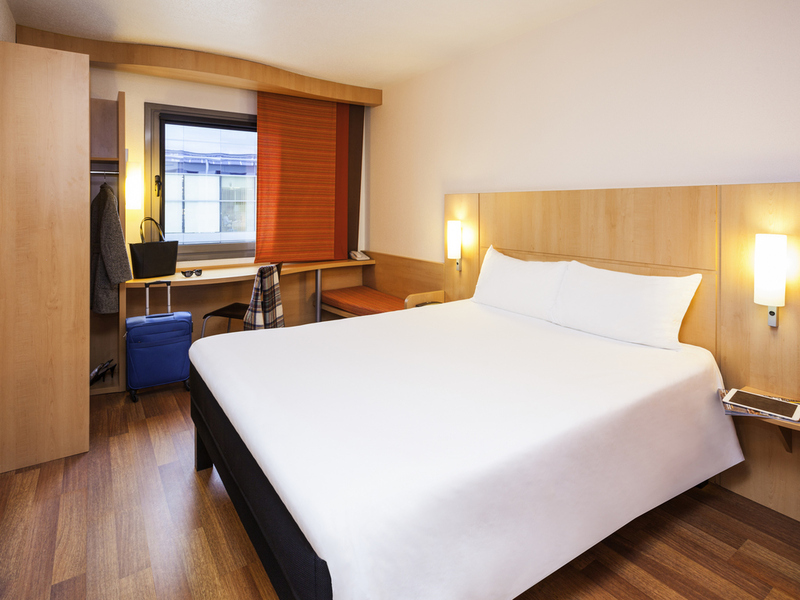 The ibis Alcobendas hotel is ideal for relaxation and rooms are fully equipped with facilities: heating, air conditioning, WIFI, TV and soundproofing. Guests can also enjoy the Rendez-Vous bar, open 24 hours, and private parking.